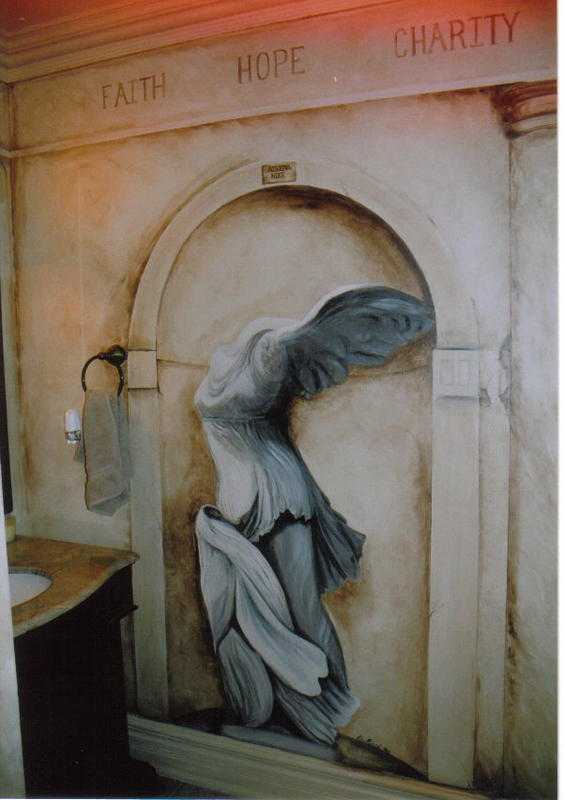 These murals were created in the home of the late Peter Zezel. 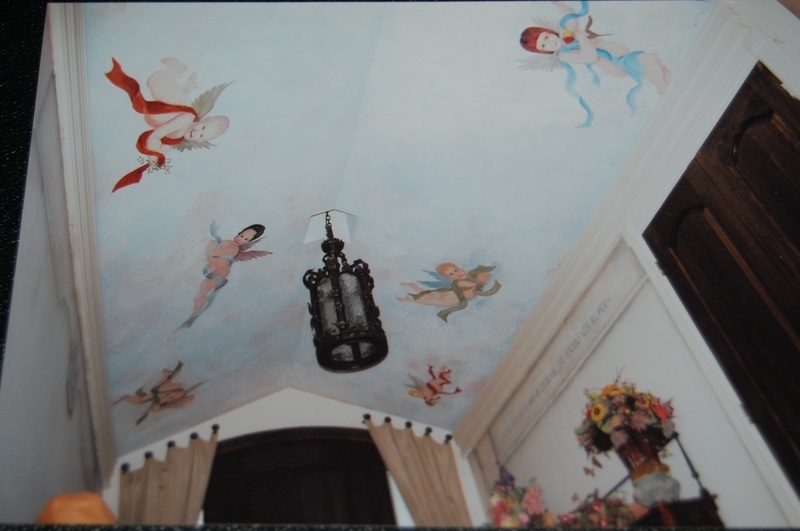 The ceiling “Putti” mural was actually inspired by his one niece, and created with the portraits of his six nieces and nephews. The image of the statue of “The Goddess Athena Nike” (Goddess of Victory) was done in his main powder room and incorporated several of Peters inspirational words along the top frieze of the architecture.